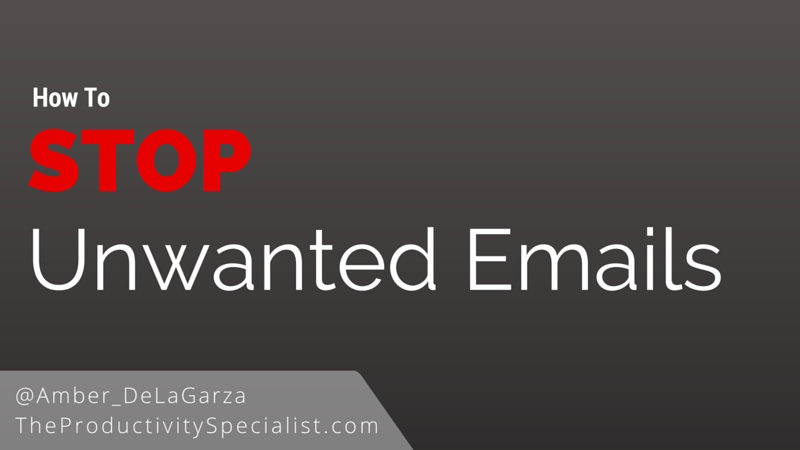 How Can You Stop Unwanted Emails? Productivity is investing your best time into your best activities. 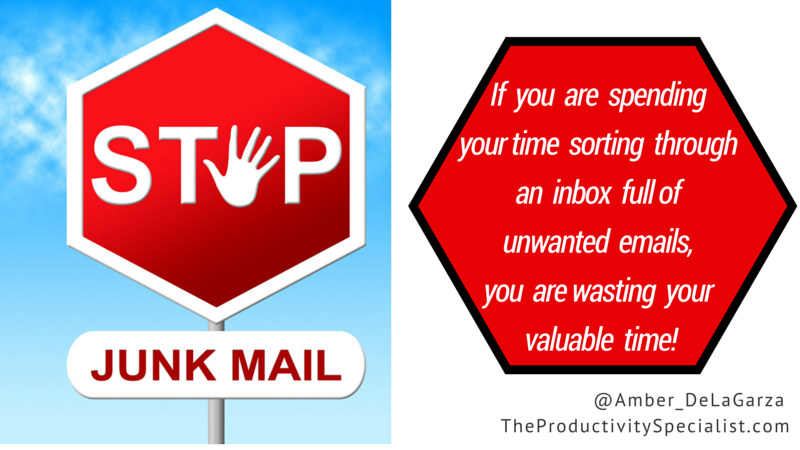 If you are spending your time sorting through an inbox full of unwanted emails, you are wasting your valuable time! By simply unsubscribing from unimportant emails instead of deleting or ignoring them, you could save at least 12 wasted minutes a day, which would add up to a minimum of 52 hours a year. Think of everything else you could be doing with those 52 hours a year! A short time ago, I used a program called Unroll.Me to stop unwanted emails in my personal Gmail account. I was very impressed with the program’s ability to both identify subscriptions and quickly unsubscribe me. It was also incredibly simple to use. 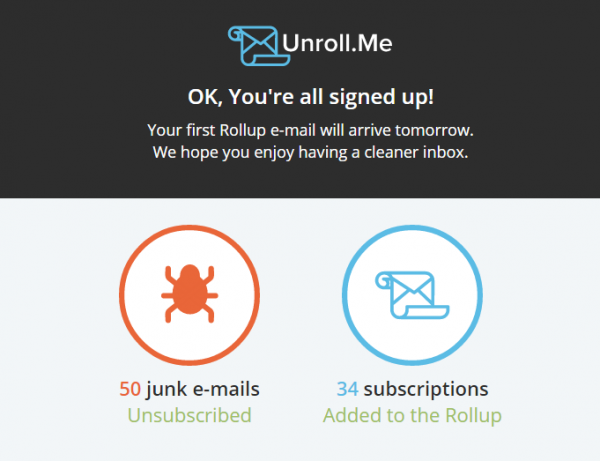 Unroll.Me scanned my inbox and when it was finished, it had found 132 subscriptions. I was blown away by that number. I had no idea that many emails were catching my attention, even if for just a moment, before I deleted them. A few minutes later, I had successfully unsubscribed from 50 email lists all at once! I also created a Rollup of 34 other subscriptions that I wanted to keep but did not want to receive individual emails from every day. Those subscriptions were mostly to places I like to shop that offer great sales and e-coupons. I used the Rollup feature so I can easily find those emails when I choose to shop at those stores, without having to be distracted by all of them in my inbox every day. On average, I get 15 to 20 emails rolled up into one single email. I now probably spend one-eighth of the time skimming one email than it would have taken to review each email’s subject heading and delete it, one after the next. I recommend giving Unroll.Me a chance. It may be precisely the answer you are looking for to stop unwanted emails, and it gets even better. The program is free. That’s right! It’s completely free to use. If you want to further take back control of your emails and organize your inbox, check out my article Stop the Insanity! 5 Simple Email Decisions to Organize Your Inbox.